the papaya factor: Tag time! This entry was posted on 9:32 PM and is filed under tags . You can follow any responses to this entry through the RSS 2.0 feed. You can leave a response, or trackback from your own site. Smee - you are tagged too .. didntya see? One Q- is it necessary that the 7 people you tag need to be your favorite or they should be 'just deserving' ? Thanks babe!! very sweet of ya! numerounity - sorry i don't understand. were u commenting on some earlier post? oh CP thank you so so much for this but seriously I am not even sure I am eligible for any award thanks to my irregularity! WIAN - sometimes a tag helps to get out of the writers block zone. i tagged u hoping it will, miss ur writing! I have been scratching my head ever since I received it and it seems to be nothing but a ploy at increasing hits for the bloggistame blog. If u know more about it, plz do enlighten me. Till then, congrats for the 'award'. Me tagged where??? 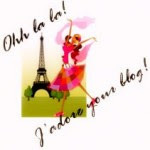 in ur blog? EISI - ur right, it's the simplest tag i've come across. nevertheless avdi was nice enough to think of me so i accepted. smita - she means on the pink bee.